How long has the EBow been around? What is the history of the EBow? How has the EBow changed over the years? How do I write the name "EBow"? What does the "E" stand for? 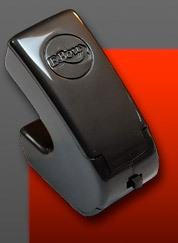 Where can I purchase an EBow? Does the EBow work on bass? Will the EBow play more than one string at time? Is the EBow hard to learn? Will I have to practice to get good? How does the EBow work with different pickups? Will the EBow work on Acoustic? Where to stash the EBow? What are the basic EBow concepts? The EBow is hard to control. Can the EBow damage my pickups? The EBow came from outer space. Tips for navigating this site. Where can I download the mini CD?